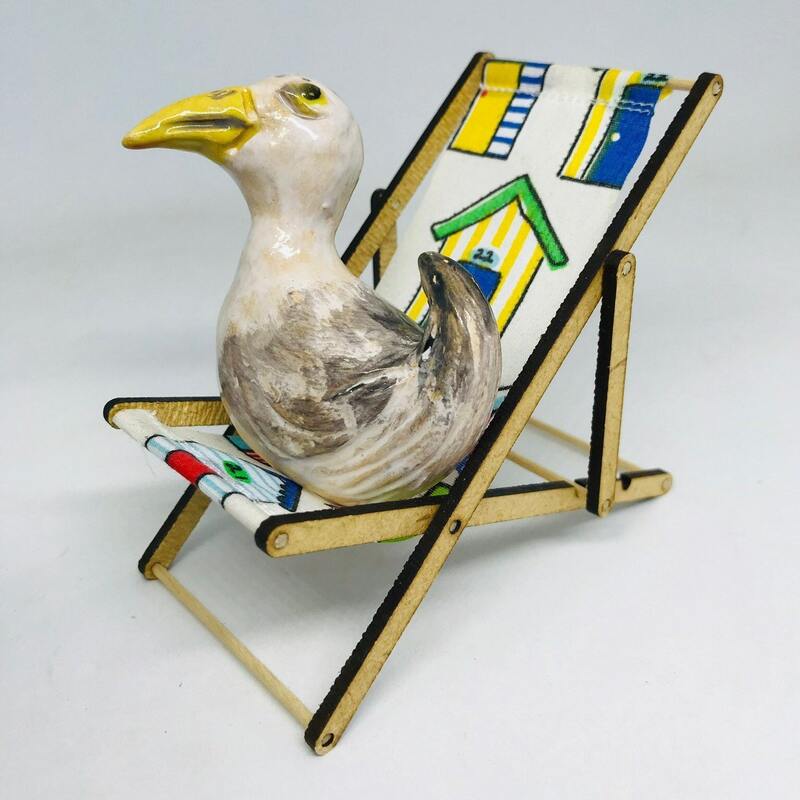 Brighton Seagull sculptures sitting on his deck chair. 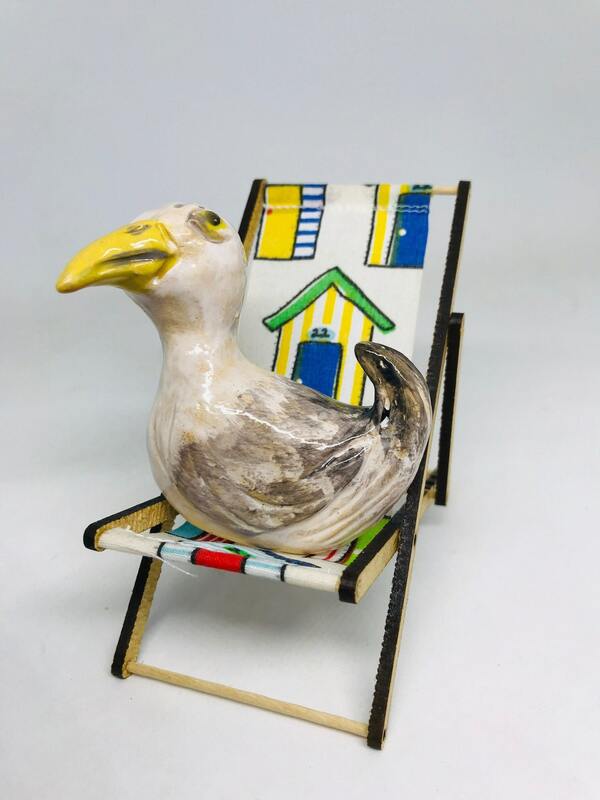 Handmade in Woofing Fabulous pottery studio in Sussex. 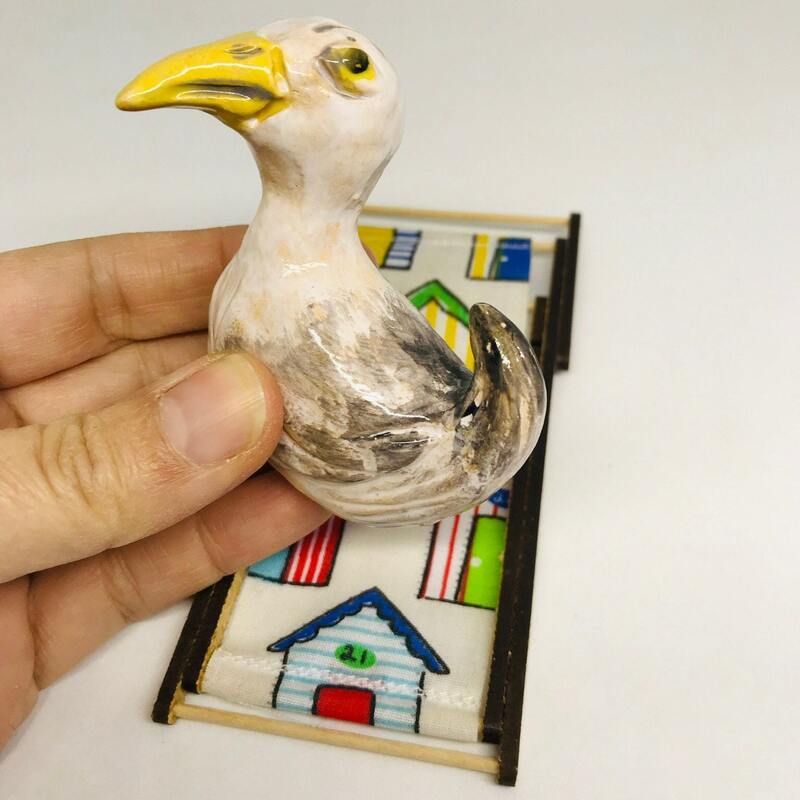 Hand painted & sculpted. 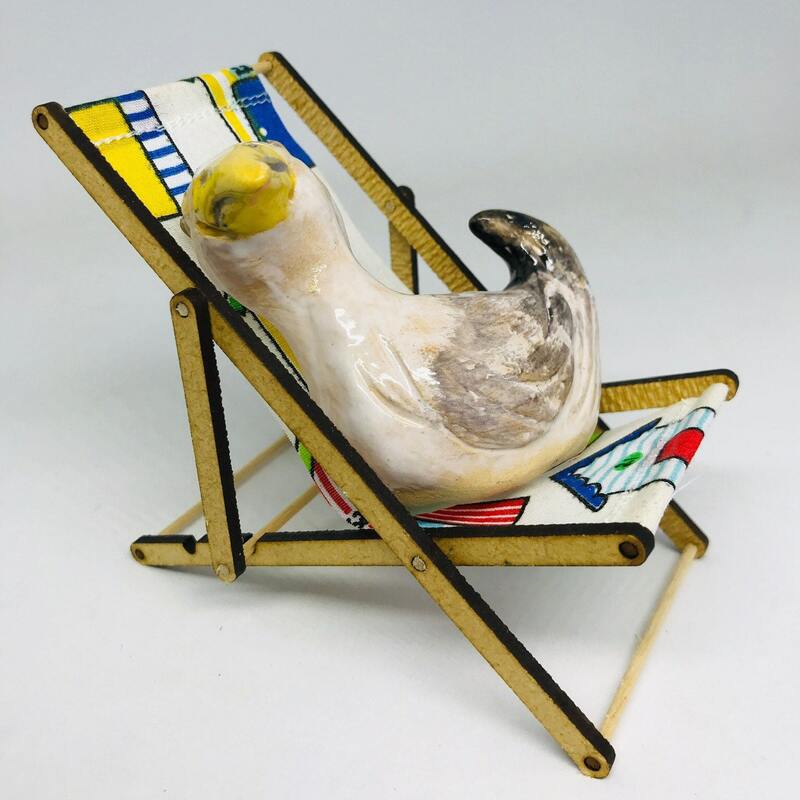 Brighton Seagull sculpture sitting on his deck chair. Handmade in Woofing Fabulous pottery studio in Sussex. 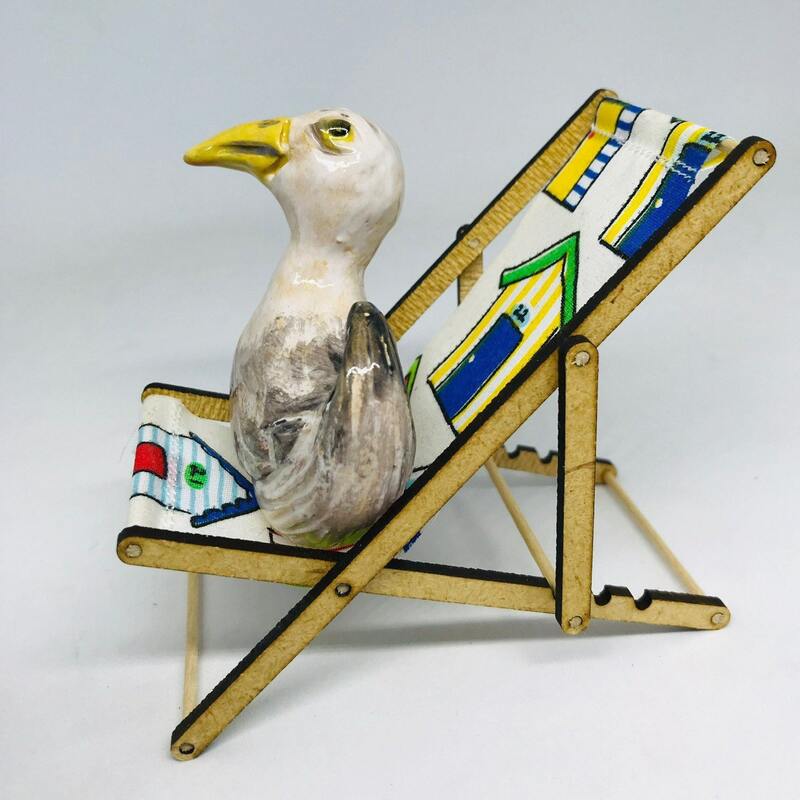 Hand painted & sculpted. 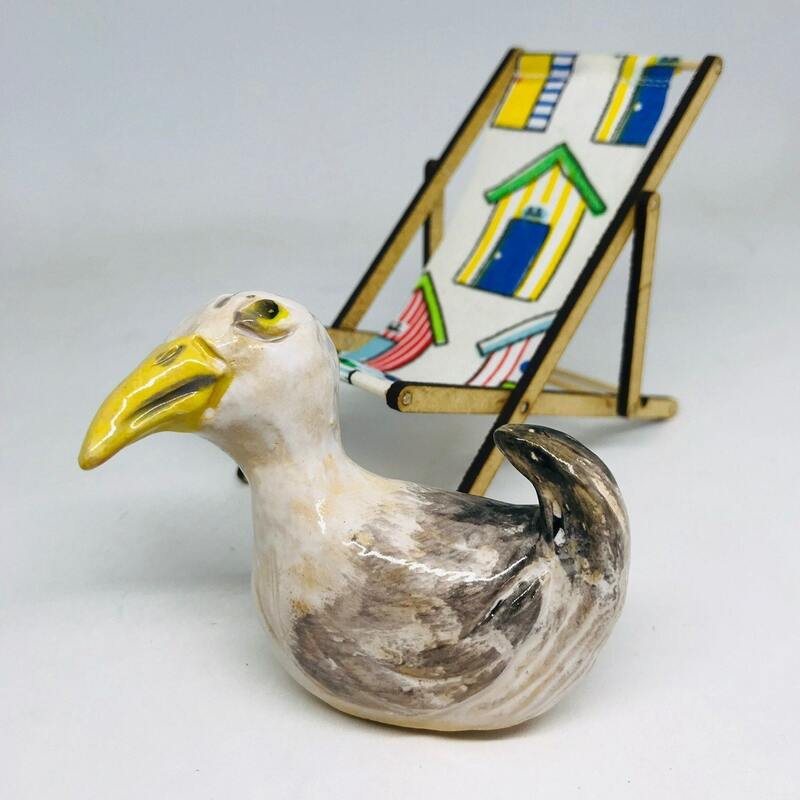 From my miniature collection my new range of Brighton seagulls inspired by the naughty Seagulls that fly around my pottery studio. 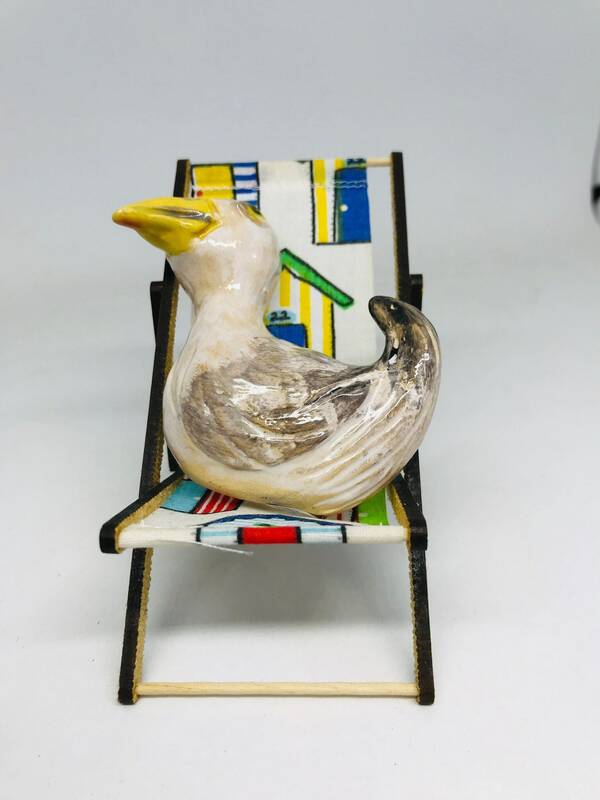 This little one just needs a place to put up his deck chair and catch the sun rays. Oh and he needs a name. I will leave that to you if you are treating yourself or if he is a gift his new friend can name him. 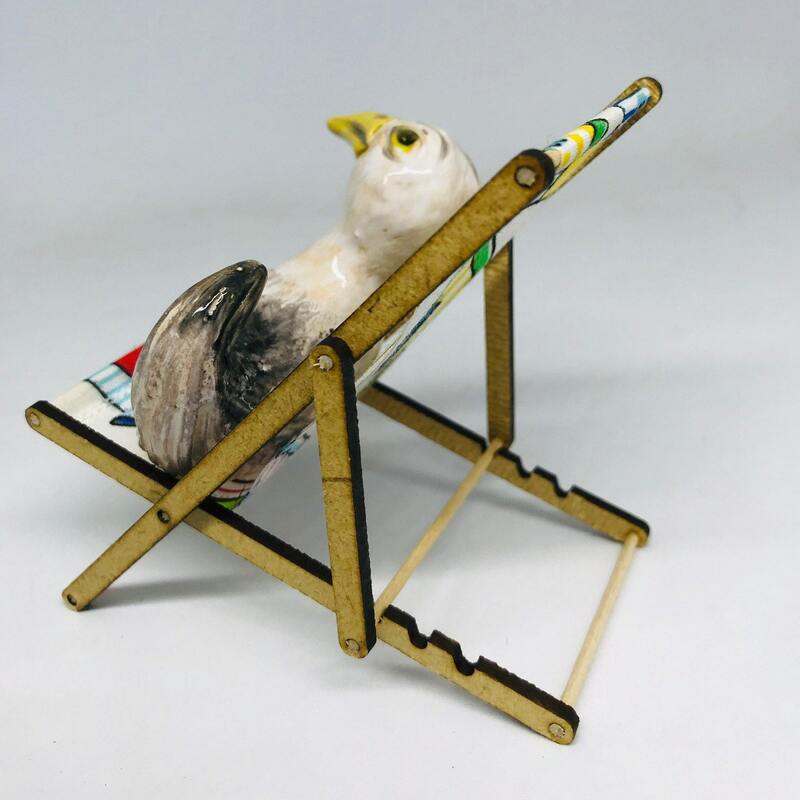 Deckchair measures 12 cm x z9 cm x 5.5 cm when up. 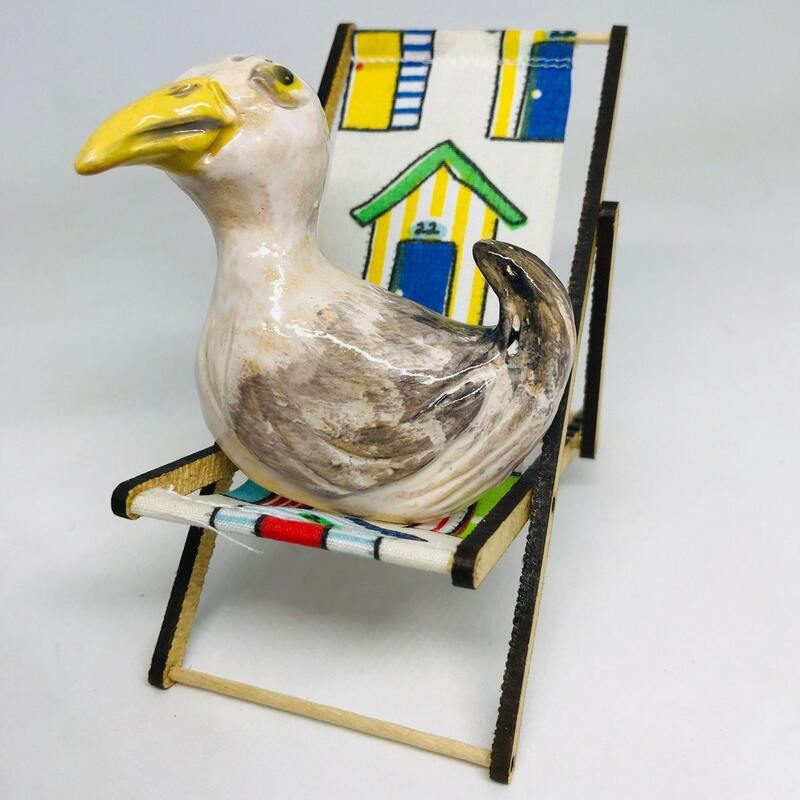 He is ready to pack his bags and be bubble wrapped and boxed so that he will arrive safely at his new home. Additionally it would be lovely if he could send a photograph of himself in his new home if at all possible. Thank you for reading about Woofing Fabulous' work. Have a nice day.